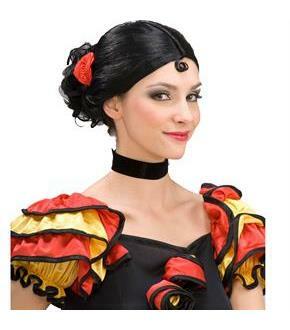 A lovely Latin lass. 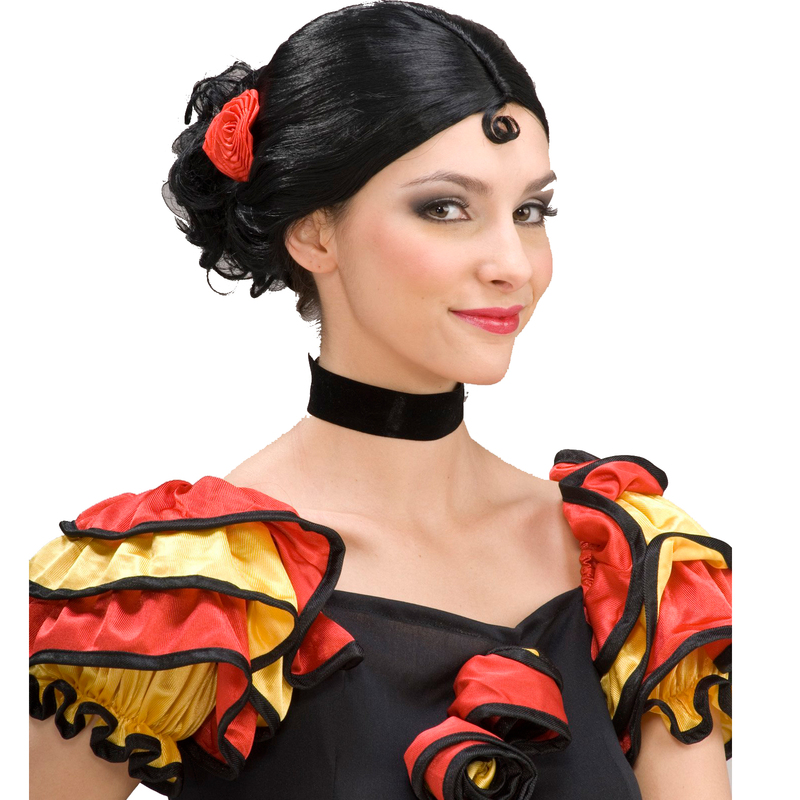 Spanish Senorita Wig is a black wig drawn back into a delightful bundle of curls with a part in the middle, a tight curl in the front and a red fabric flower accent. Care Instruction: Hand Wash w/ Cold Water and Mild Shampoo, Ari Dry. Do not Brush until completely Dry.